Far out into the Indian Ocean where it is forced to be self-reliant, the island nation of Mauritius is weaning itself off fossil fuels by turning to its main cash-crop sugar cane, for electricity. 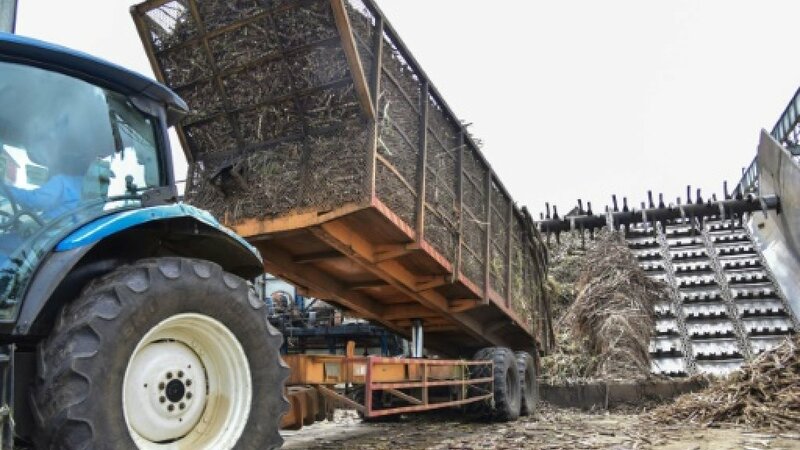 The leftover, crushed sugar cane stalks and tips - dry fibrous material known as "bagasse" - is burned to help power Mauritius and reduce its reliance on coal and oil. Electricity from sugar cane now accounts for 14 percent of the island's needs and, when combined with other renewable sources such as solar, wind and hydro, provides nearly a quarter of daily consumption. "The government's goal is to increase the share of renewable energy in the energy mix to 35 percent by 2025," said deputy prime minister Ivan Collendavelloo who is also energy minister. "The 35 percent is not far off; we will have 11 solar parks by next year and at least two wind farms," he said. "Independent producers in the sugar industry will continue to provide the largest share of renewable electricity from bagasse," he added. In Mauritius, around 60 percent of the island's electricity is generated by four sugar companies, each running its own thermal power station. The plants run on coal for part of the year then switch to sugar cane byproducts when harvest season comes. At the end of November, the harvest is in full swing in the fields surrounding the Omnicane company, in the south of the island. Heavy trucks pulling huge trailers are lined up next to an immense warehouse to unload their cargo of fresh-cut sugarcane. During the harvest, 8,500 tonnes are sent daily to this facility - a total of around 900,000 tonnes for the year. The cane stalks are crushed to extract juice for sugar production. They are then soaked to extract the last juice and then heated to dry. 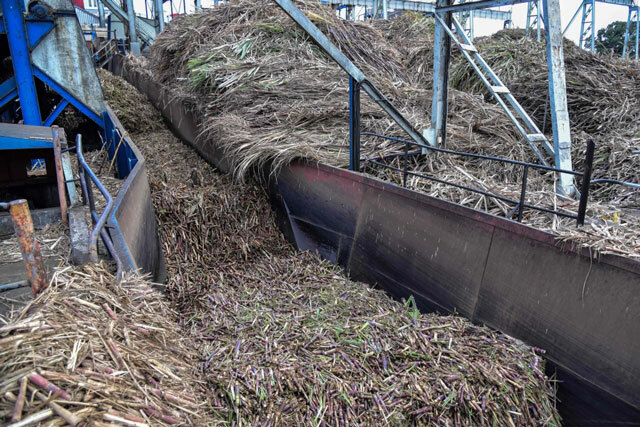 Finally, squashed and dried, the stalks are fed into a thermal power station where they burn at 500 degrees Celsius, fuelling turbines that produce electricity for the plant and the national grid. "Electricity is available 24 hours a day, on demand, without having to wait for the wind or the sun, since we can store bagasse as we would oil and coal," said Jacques D'Unienville, Omnicane's manager. And the carbon dioxide greenhouse gas produced by the burning? It is captured, according to D'Unienville, and used to add the fizz to soft drinks. However there are clouds on the horizon in the form of a drop in sugar prices since the European Union ended quotas in 2017, and increases in production in Thailand, Brazil and India, which together have put pressure on the island's farmers. 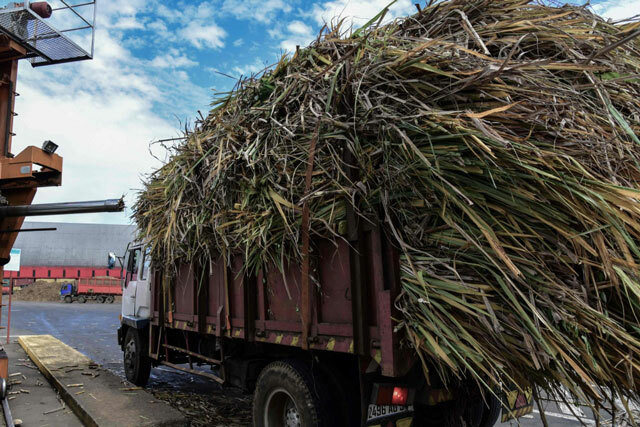 Jacqueline Sauzier, secretary general of the Mauritius Chamber of Agriculture said falling sugar prices were "a fatal blow to the local sugar industry." "The number of small farmers has fallen from 26,000 in 2010 to 13,000 in 2018," said Agriculture Minister Mahen Kumar Seeruttun. The question is whether Mauritius will be able to produce enough sugar cane to meet its target for renewable, bagasse-based electricity. Some sugar producers are hoping that preferential treatment might provide an answer. "Mauritius is a small, vulnerable island. We do not have the capacity of Thailand, Brazil and India, but we are an efficient producer because we value the entire sugar production chain," said D'Unienville. "We need protected access to preferential markets. Small countries should have quotas as a priority because we are very vulnerable," he said.